Transport yourself back almost 2000 years and follow in the footsteps of the Romans. 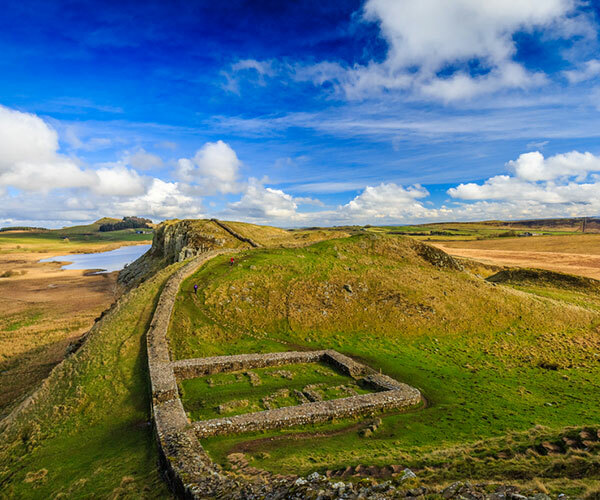 Hadrian’s Wall was built on the orders of emperor Hadrian from 122AD to mark the northernmost boundary of the Roman Empire – cross country from coast to coast. Join your private local guide to discover the secrets of Roman Britain. 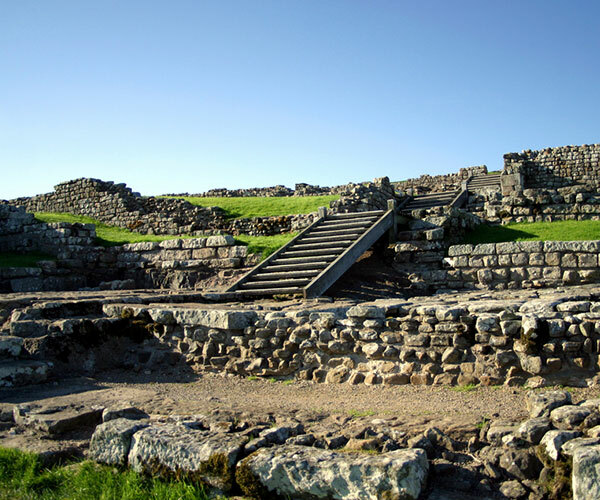 Remnants of the wall can still be seen today, and your guide will take you to visit some its most iconic structures at Housesteads, Vindolanda and Chesters. Housesteads stands on a high ridge and it is one of the spectacular of the 17 forts built by the Romans along their wall. In Roman times there was a busy garrison of 800 men here, housed in a series of barracks. They even had a communal military latrine. Vindolanda has given us one of the great treasures of the Roman Empire, the series of written tablets that tell the story of day to day life in a Roman fort, including a request for more beer, a birthday party invitation, a note about the supplies being late because of the state of the roads. Your private tour guide will take you Chesters cavalry fort where you can still see the remains of the stables. A recent suggestion is that the men shared their accommodation with their horses. It is home to the best preserved military bath house in Britain.